Discovering #allcitiesarebeautiful and the photographs of Alexandre Kurek has been invigorating. Catching his Instagram shots of Sarajevo started a conversation between us and stirred recollections of a time in my mid-20s when I travelled to the city. 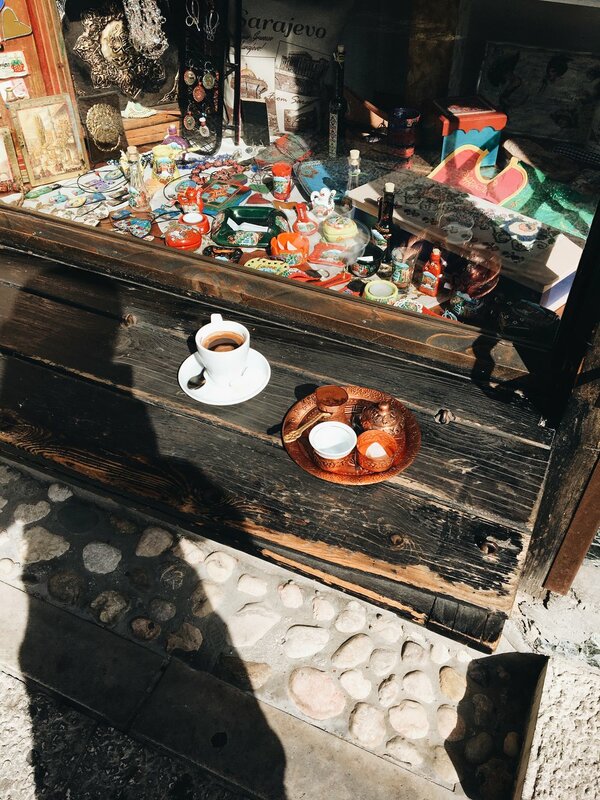 As Alexandre describes it, "The city of Sarajevo is nothing short of surprises, cultures, and history; and having experienced only a fraction of what this place has to offer, I feel sad and am left unsatisfied; there was just so much to tell, and so much to see, but so little time". Read my companion piece, A Trayful of Eyes here. Thank you to Alexandre Kurek and #allcitiesarebeautiful. Check out Monocle's September 2017 Arts Review on Sarajevo's art scene or The Independent's recent city guide. Words © Debra O'Sullivan 2018. Words & Images © Alexandre Kurek 2018. All Rights Reserved.